The engraving is made by hand by an engraver on Gotland. Write your choice of engraving in the "Add comment" at check out (maximum of 20 signs)! The most classic way to engrave inside of wedding or engagement rings is for example "Malin 5/4 1994". 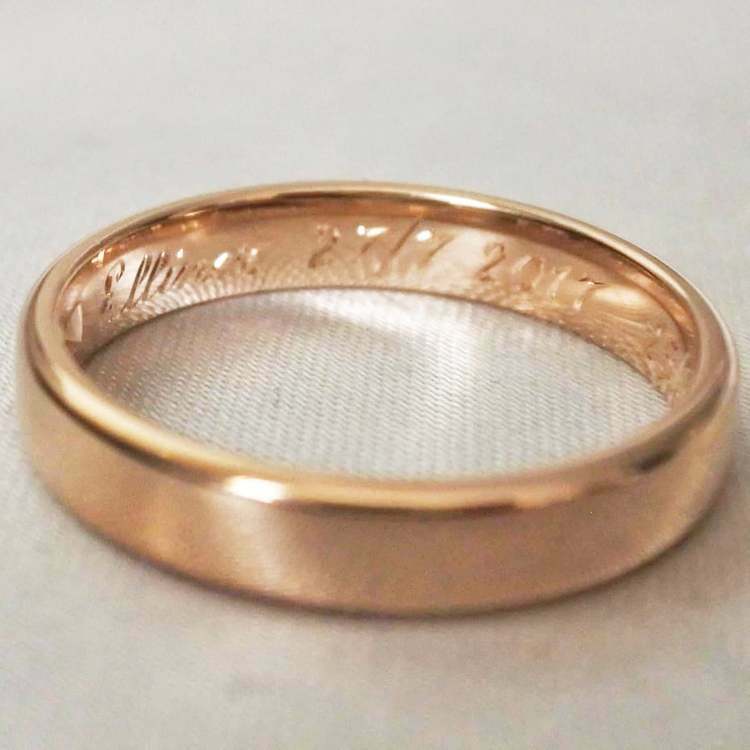 Engraving is already included in most of the rings, be sure to check the information for the ring you are ordering. Engraving does not affect the delivery time of the ring you are ordering. If you want to send me a ring of your own for engraving the delivery time is 3-4 weeks.